1. Find out the transportation cost to move goods from your place to Mumbai port from local transporters. Remember, unlike local transport, some of the international ports both airport and sea port may have certain schedule for unloading your cargo to the specific booked flight area or shipping slot to unload, which may get delayed in un loading. So get a sound knowledge with experienced transporters to avoid detention charges for waiting. By taking in to consideration of the same, you got a quote for the transportation charges. 2. Contact a Customs House Agent to get the customs clearance quote to handle your shipment. 3. In each port, there will be a port handling agencies, where in you have to pay the handling charges. Collect the tariff from them with the help of clearing and forwarding agents (CHA) or freight forwarders. This is an actual receipted bill which you can demand from the Customs House Agents to whom you have appointed to customs clear the cargo. 4. If the cargo has to be shipped via sea, shipping line charges terminal handling charges and BL documentation charges which may also be taken in to consideration while fixing up an FOB cost. 5. If the buyer needs cargo by sea and you (exporter) are away from sea port and you need service of CFS/ICD dry port, you can move cargo to nearest dry port of CFS/ICD and arrange to customs clear the cargo and send the shipment to the sea port. Shipping and freight forwarding company will help you in extending service. Here, you need to pay the charges of transportation from dry port of CFS/ICD to sea port. 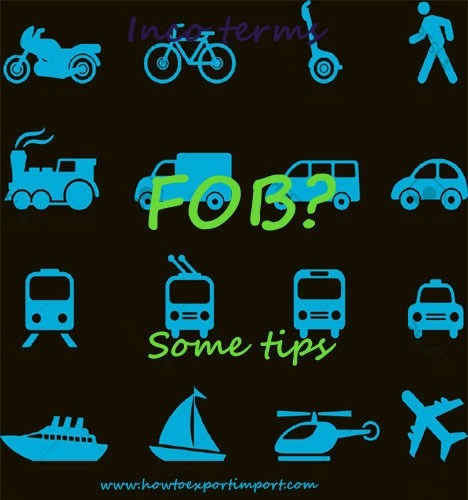 You can works out the total expenses of the above as FOB charges and fix up your selling FOB cost. 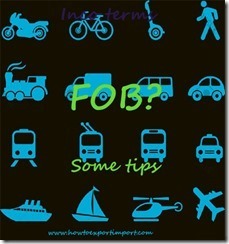 If the total expenses of above expenses works out to USD 300, then the total FOB Mumbai selling cost is USD 5300. Detailed articles about Inco Terms of Delivery under export and import of International business have been mentioned in separate category – INCO TERMS – in this web site. You can click here to read. What is C& I terms of delivery in export import business?